The duo Tess Said So… backing “Nosferatu” with a “stripped back, minimalist, very, very dynamic and a real tonal piece”. BY day, Sam Dignand is a mild-mannered technical officer at the National Film and Sound Archive who works on public programs and managing the cinemas, but after hours he’s the film curator for the 2017 one-day festival, “Art, Not Apart”. He’s one of a strong team turning the NewActon precinct into a hot bed of arts on March 18 – the other curators are Chenoeh Miller, Frank Madrid, David Caffery, Michael Liu, David Williams and Anna Trundle – and he’s come up with a wild idea. 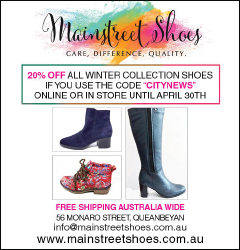 This is the first time the NFSA is seriously engaged with “Art, Not Apart”, Dignand tells “CityNews”. Film curator Sam Dignand… pulling all stops out to screen the 1922 classic cult film “Nosferatu”. Bearing in mind that Canberra is home to many heavy duty cinephiles, to say nothing of many desperately keen fans of horror and zombie movies, Dignand is pulling all stops out to screen the classic cult film “Nosferatu”. 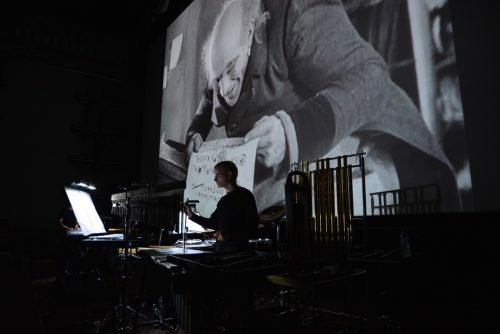 It’ll be a screening with a difference, as an “incredible pair of musicians” – Rasa Daukus and Will Larsen of the duo Tess Said So – play piano, vibraphone and tubular bells and interact with the on-screen action, live in concert, to bring the 1922 cult movie into 21st-century Canberra. It’s been a smash at the Melbourne and Adelaide fringes. For those not in the know, “Nosferatu: A Symphony of Horror” is FW Murnau’s German Expressionist horror film, an unauthorised riff on Bram Stoker’s “Dracula”. Stoker’s heirs obtained a court order that all copies of the film be destroyed, but a few prints survived and it is now regarded as a masterpiece. 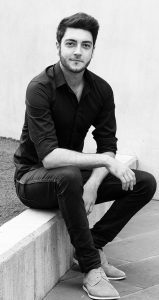 Dignand, a composer who believes that sound design and music can create a new dimension to the moving image, trained as a classical pianist before taking out a Bachelor of Music in jazz composition and arranging at the ANU. He tells us that musicians overseas have had a go at backing “Nosferatu”, but the performance we will see “is stripped back, minimalist, very, very dynamic and a real tonal piece”. He calculates that it will go down well in Canberra where audiences are growing for these “live scorings” and, in particular, he has spotted a likely audience emerging from the School of Music’s composition students and the ANU’s experimental music group. “Nosferatu” is the centrepiece, but Dignand has planned other cinematic delights, kicking off with the recently-launched doco “Monsieur Mayonnaise”, which touches on the lives of Melbourne émigré identities Georges and Mirka Mora. As well, keeping with Art Not Apart’s aim to give light “to the lesser heard, lesser seen”, Dignand has commissioned an interactive mapping project from experimenter John Carolan where the audience can engage with projected imagery via Microsoft technology. From 1pm to 7pm, the public can try it out in the NFSA theatrette, but during the late-night shindig called “F…k arts, let’s party”, they’ll be projecting Carolan’s work on to the huge concrete walls of a warehouse. Another commissioned piece is “Sirens”, by emerging film director and former Daramalan boy Oliver Levi-Malouf. In 2015 we reported on the Silver Remi award he won at Worldfest Houston for his seven-minute film “Magic Man”, which starred his drama teacher and “CityNews” theatre critic Joe Woodward, but now he is advancing his career in Sydney – and that’s just the kind of thing Art, Not Apart wants to encourage.